“To present these very special shows at my favourite club in the world, with some dear pals, old and new, is quite literally, in so many ways, the dream date. As the city of London (with Soho as its spiritual engine) welcomes people of all sexuality, colour, age, faith, non-faith, birthright and gender-identity to flood into our beautiful city to celebrate Pride 2018, the annual peace-rally that galvanises and celebrates the much-cherished and long-fought political and legislative journey to equality, we present these shows at Ronnie’s simply and joyfully to say “We are One. And we are all Different”. And nothing can joyfully say this more than great music. Music that can defiantly make you smile, dance, cry, laugh, connect, click, nod, shout, remember, empathise. Music that challenges, soars and swings - and reminds you of every good thing worth remembering. Music that reaches back to early blues, like the “relaxed bisexuality” (Jim Gavin) of the legendary Ma Rainey and Bessie Smith (recently the extraordinary Cécile Mclorin Salvant captivated Ronnie’s with these naughty early blues lyrics). Music of classic jazz composers like Gershwin, Arlen, Porter - sung by Judy Garland, Ella, Patti Austin, Mark Murphy, Nat Cole. Music that shouts and rallies against hatred, racism, fear. Music like jazz. Jazz, unlike theatre, film, telly, cabaret and long-distance lorry-driving, hasn't been at the forefront of gayness. Famously a little too macho and not entirely inclusive, stale tales and sorry stories sadly still abound. Homophobia still affects lives - and there's more work to be done. But 2017 was the year of fabulous realisation that we can and are changing things. And 2018 happily sees more equality for women in Jazz. Look a little harder and you'll see that women have ALWAYS played (not just been canaries singing in front of blokes in dickie bows) - Maria Schneider, Joanne Brackeen, Terri Lynne Carrington, Kate Williams, Nubya Garcia, Rachael Cohen, Nikki Iles, Geri Allen, Laura Jurd, Hiromi, Trish Clowes, Yazz Ahmed, Cindy Blackman Santana, Marion McParland. Ronnie Scott’s has hosted all these great musicians. Thanks to people like ace young saxophonist, TOM SMITH, 2018 can redress all imbalances and welcome LGBTI + music and musicians, past and present, to us all. With style and skill and passion. And a whole crock of fun. This will be some rainbow. Composer and Duke Ellington’s co-writer, Billy Strayhorn; swinging, improvising and boldly open violinist, Stéphane Grappelli; singer-pianist, Patricia Barber; singer-pianist, Dena DeRose; pianist-composer Janette Mason; soulful singer, Andy Bey; revered vibes legend, Gary Burton; the wild and beautiful, recently departed, Cecil Taylor; NYC drummer, Bill Stewart; singer, comedian, activist, Lea DeLaria; UK bassist, Alison Rayner; jazz guitarist, Deirdre Cartwright; astonishing singer-guitarist, Me’shell Ndegeocello; singer-songwriter, Krystle Warren; the brilliant US pianist/composer, Fred Hersch, whose honesty on his HIV status is empowering for all; Great musicians all. And then our allies: co-musicians, writers, promoters, sound and light engineers, arrangers, fixers, friends, lovers, family and you, the audience. Great and truthful music unites us all. Ronnie Scott and his buddy and business partner, Pete King, knew all about me. They knew my fears, my thrills, my insecurities - but mostly, my love of performing. They also knew my sexuality. This was a few years back, when Ronnie mentored an album of mine. Love songs that reminded him of his youth. Songs I'd never heard. Songs that made me think. Songs to fall in love to. Pete once handed me an extra wedge of cash. “For you and your mate. I know you've been having a rough time”. This was post Clause 28 - the hideous piece of UK legislation that marginalised LGBTI+ people - the lethal and legal way to uncover and cease “the promotion of homosexuality”. It was a witch hunt. Music, arts and education would suffer. Ronnie and Pete knew about these things. And in a silent way, for me anyway, refused to let stuff like this take away the music. 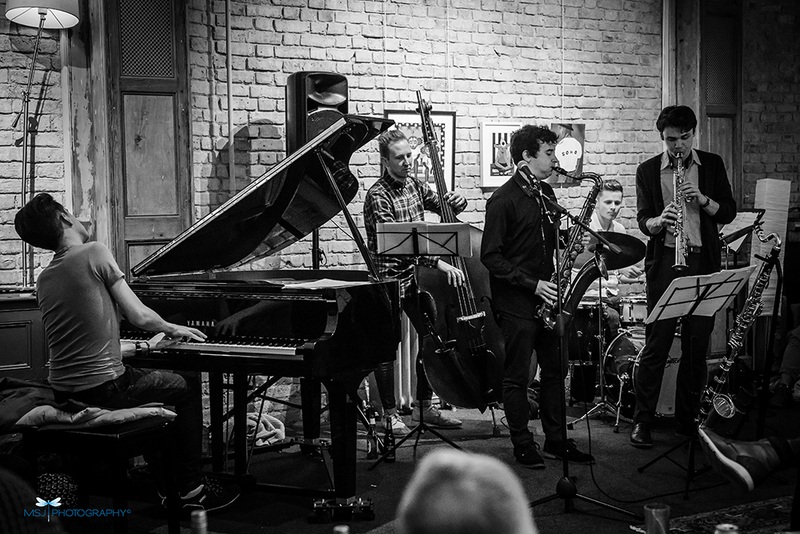 As well as his regular appearances at the hugely popular Late Shows at the club, Tom’s compositions have been heard on BBC R3, BBC Four and, as well as guesting with Brit stars, Gareth Lockrane, NYJO and Resolution 88, he was twice finalist at the BBC Jazz Musician Of The Year. “This will be such a joyful celebration of LGBTI+ culture, combing a whole history of jazz music and exploring a wide variety of repertoire and composers, with Julian, Sharon and Ian bringing you our renditions of favourite tunes and stories. A night to remember!" JUSTIN TAMBINI, drums. This twenty-one year old drummer, composer, arranger is studying for his masters in jazz performance and composition at The Royal Academy. JULIAN CLARY is a national trinket and renowned homosexual. A comedian, TV and radio panellist, actor and published author, he and Ian Shaw have been misbehaving together for many years. 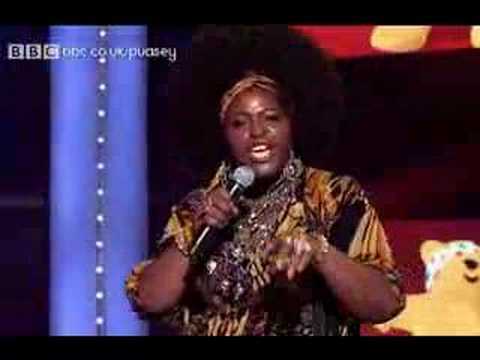 SHARON D. CLARKE is a TV and theatre singing and acting legend. The Tony Kushner musical, “Caroline, Or Change”, in which she dazzled, transfers to the West End later this year. Ian and Sharon met at the first massive London HIV awareness event for The Terrence Higgins Trust - The Thing a Thong - at The Piccadilly Theatre and ate a lot of chocolate together. 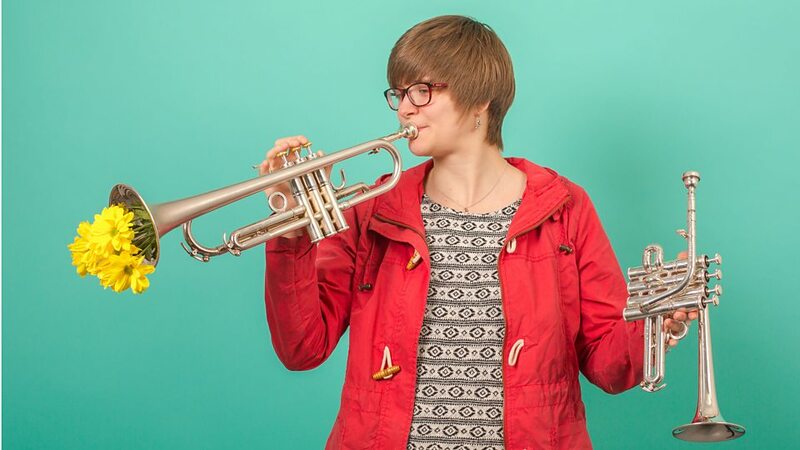 LAURA JURD, the UK’s most original and exciting young trumpeter, from the Mercury-nominated “Dinosaur”, joins Tom and the Queertet for the two shows. Tell us what you think of Ian Shaw presents Tom Smith's Queertet, Julian Clary(early) & Sharon D Clarke(late) below..